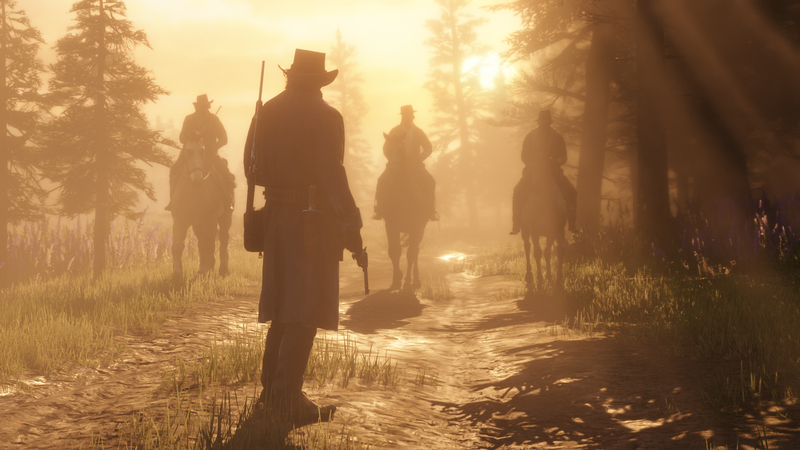 Red Dead Redemption 2 has been delayed until October, but with six new screenshots fans are already trying to gleam any new information they can find. The question is, is there even anything new? 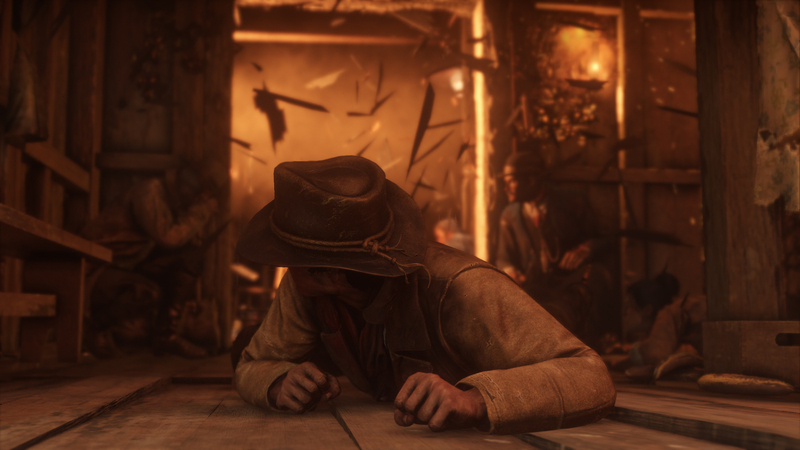 Rockstar released six brand new screenshots today, though some of them-like the one where our cowboy hero is in the middle of some kind of fiery scuffle inside a building-are parts of scenes we've seen in trailers. That hasn't stopped eagle-eyed redditors from analyzing every little detail hidden in the six images. And although it might not be much, there are some interesting tidbits. 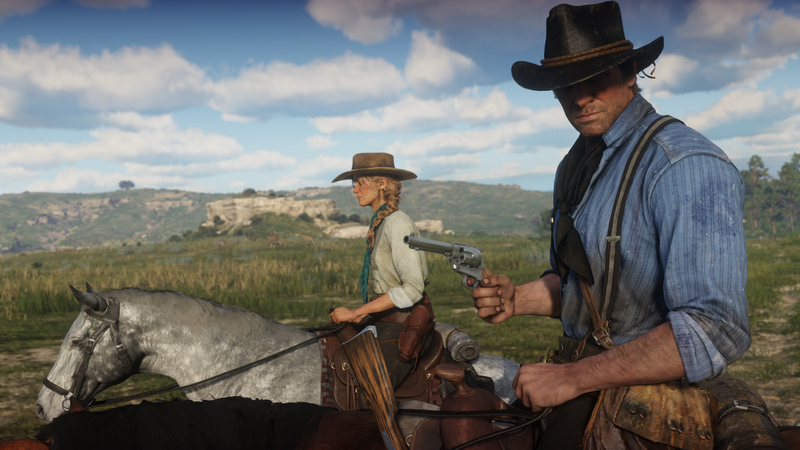 Starting with the obvious, it looks like whatever story we're going to be told in Red Dead Redemption 2, it's going to unfold over the course of a few months or years as different seasons are on show in these here screenshots. 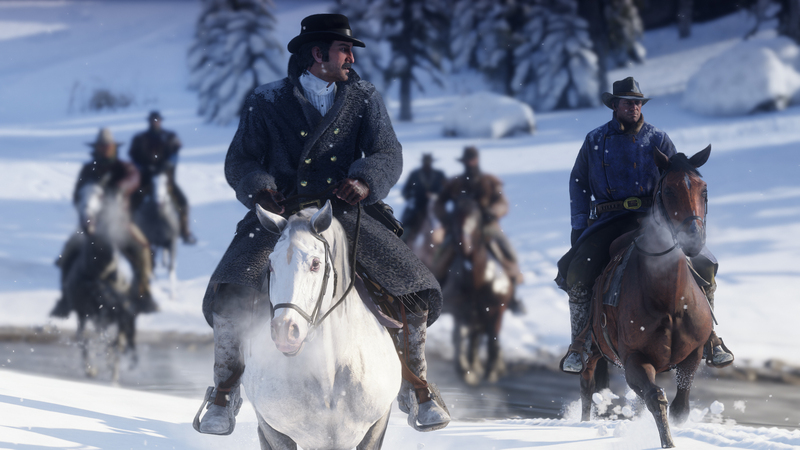 There's a scene with Dutch's gang are all traveling together in the winter, but the rest of the screenshots seem to take place around different parts of the year. We can also probably expect to see dynamic weather, or at least day and night changes. One of the more interesting comments on Reddit however actually have to deal with the level of damage seen in the screenshots. 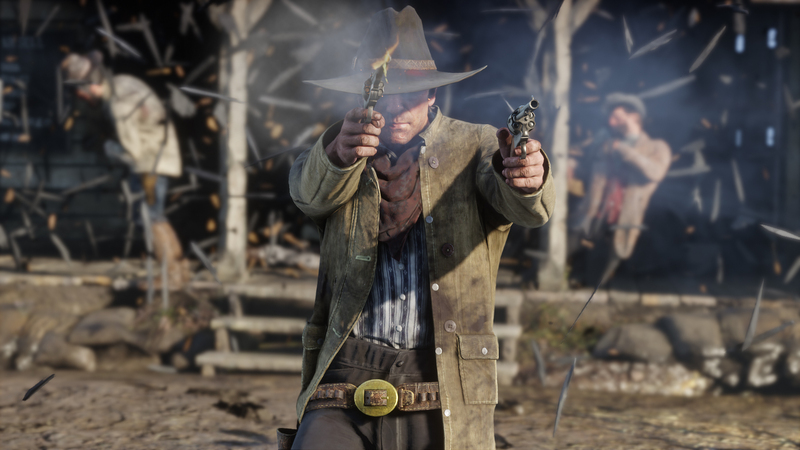 Judging by two of the shootout images, some commenters are speculating that Red Dead Redemption 2 could feature better environmental damage, as you can see wood splinter when shot. However, these could also just be from cutscenes so I'd take that with a grain of salt. Either way, it'll be some time before we get another trailer, but we're bound to at least get more details at this year's E3. For more on the game, check out our complete Red Dead Redemption 2 Guide. Tagged with Action Adventure,	News,	open-world,	PC,	PlayStation 4,	Rockstar Games,	Take-Two Interactive Software,	Xbox One.